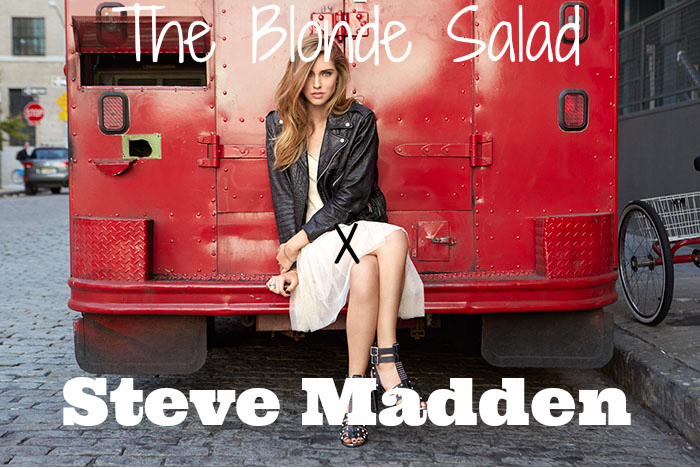 Chiara Ferragni, the blogger from The Blonde Salad, has a new project with Steve Madden. Chiara designed a new capsule collection which will be in all online stores from februari 10th with worldwide shipping. Let’s take a look and let me know which one is your favorite! I’ll go for the ankle boots with the open back! I just love the black ankle boots with peep-toe (3rd photo)! But as always, all Steve Madden shoes are awesome!